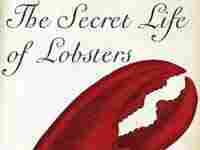 'The Secret Life of Lobsters' NPR's Melissa Block talks with author Trevor Corson about the love of lobster, fishing town economics and the practical jokes among Maine's lobstermen. Corson's new book is The Secret Life of Lobsters: How Fishermen and Scientists Are Unraveling the Mysteries of Our Favorite Crustacean. NPR's Melissa Block talks with author Trevor Corson about the love of lobster, fishing town economics and the practical jokes among Maine's lobstermen. Corson's new book is The Secret Life of Lobsters: How Fishermen and Scientists Are Unraveling the Mysteries of Our Favorite Crustacean.